…Life is full of challenges and one has to meet and win over these challenges in his relentless struggle to realise life’s dreams. These challenges are not external but projections of the limitations and negative instincts of one's own self. 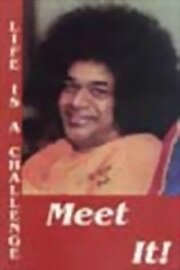 Author’s experiences of the Love, divinity and wisdom of Bhagawan Sri Sathya Sai Baba show her that life's challenges are not to be met through resistance, self-defense or self-survival reactions but through spiritual awareness and surrender to God.